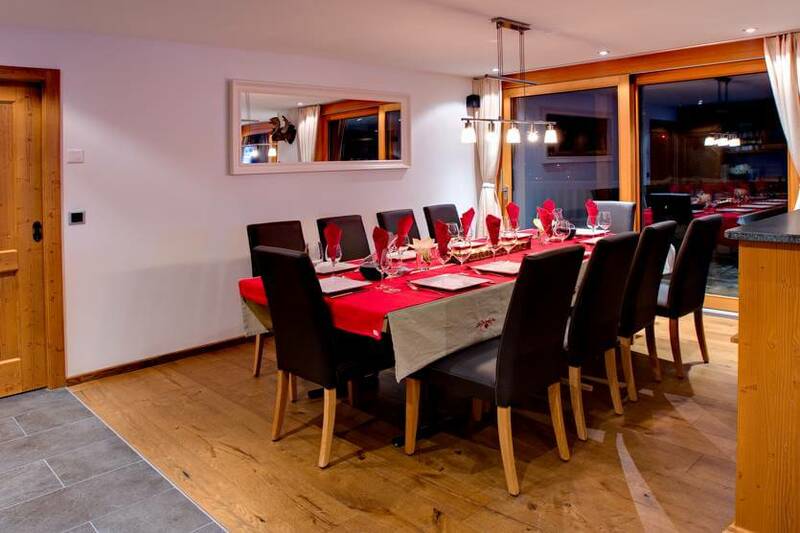 Chalet Gemini Zermatt is a luxurious free standing three-floor chalet with 5 double bedrooms, large enough for families or groups of up to ten persons. Its location provides the best of both worlds: spectacular views and easy access. 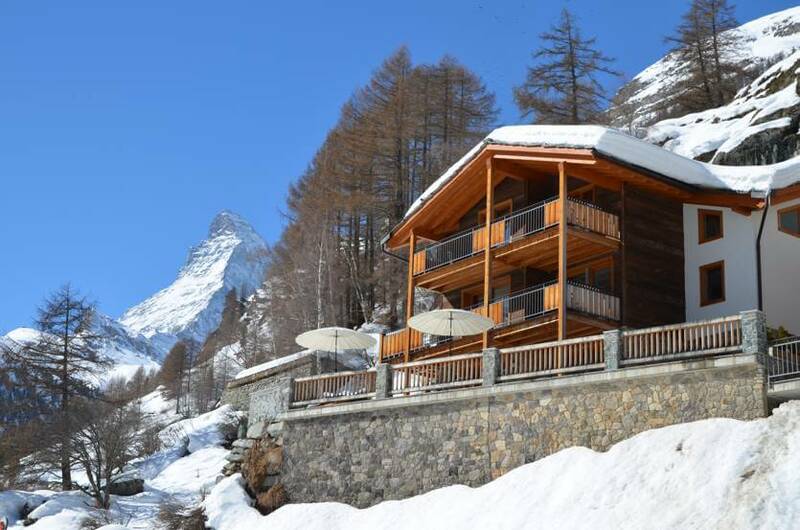 Tucked against a beautiful hillside, numerous balconies and large terraces give you bird’s eye views of the village and the surrounding mountains, encompassing all three ski areas in Zermatt. Yet access is easy: 200 m from the Matterhorn Express base lift station and the resort run, there is a street level tunnel which leads you to a lift built inside the mountain, from the top of which there is a gentle 2 minute walk to the property. The chalet has been tastefully decorated, delicately combining an alpine, cosy, and contemporary finish with liberal use of wood and stone. 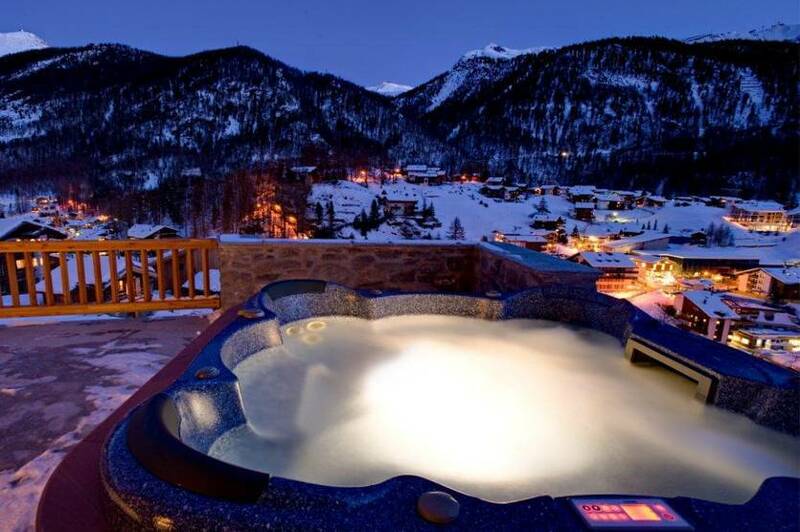 It has the latest technology with flat-screen TVs, having more than one hundred satellite channels, a fireplace and geothermal heating to reduce the chalet’s carbon foot-print as much as possible. 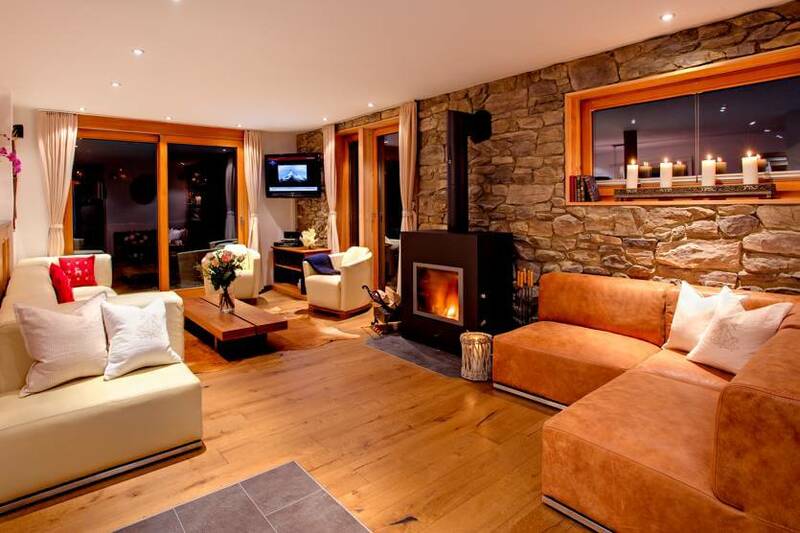 This is a rare gem: a large freestanding property in Zermatt which has been conceived to meet your needs and wishes to the fullest possible extent.